For nearly six years I lived next to a family from Yemen. Today it is impossible for me to see people from that country as the nameless victims shown on TV. Whenever I see a starving baby from that country, even if it is a standard three second picture of them suffering in a sparse hospital room, I instantly remember my friends Rad, Halamad, Ghada, and Batoule. I think of them playing soccer in the street after dark. I think of them getting up early to help their dad out at their grocery store before school. I think of them swimming in their pool on hot summer afternoons. I often found myself admiring the way they lived their lives with dignity and their faith with conviction; they were always willing to teach me more about Muslim customs such as Ramadan and ʾifṭār. So it makes me sick to my stomach to see how my country is conspiring to wage a near genocidal war against the people of Yemen. According to a joint statement by the UN’s Food and Agriculture Organization (FAO) and the World Food Program (WFP), “As many as 20 million Yemenis are food insecure in the world’s worst humanitarian crisis.” In fact, “already 15.9 million people wake up hungry” in Yemen, it said, citing an analysis by the Integrated Food Security Phase Classification (IPC), a food security survey. And Save the Children has reported that 85,000 infants under the age of five have died in this war since 2015. For me, these numbers are not faceless. They have the face of children laughing and chasing my cats around the backyard. For me, these are not senseless statistics that can be reasoned away as collateral damage; they are hearts and souls of children with dreams. The children I knew from Yemen want to be scientists, singers, soccer players, and successful business owners. One of the youngest daughters told me that she was the best math student in her class. The oldest boy worked at his father’s store stocking shelves and running the cash register until 10:30 pm every night. Excuse me if I sound angry, but when I hear that President Trump has already spent over 13.5 million on trips to Mar-a-Lago, I immediately think about how many lives in Yemen are on the brink of being snuffed out because of a lack of medicine, supplies, food, and water. How many children could be saved if that money was used to host a summit between the warring factions in Yemen? How many babies could be rescued from the agonizing death of starvation if Trump demanded an end to Saudi Arabia’s ruthless campaign of terror? Trump’s silence is bad enough. Trump’s apathy is worse. But Trump’s complicity in this war is unforgivable. For three years, the United States has supported a coalition led by Saudi Arabia that is waging war inside Yemen, trying to oust a rebel government made up of members of the Houthi tribe. 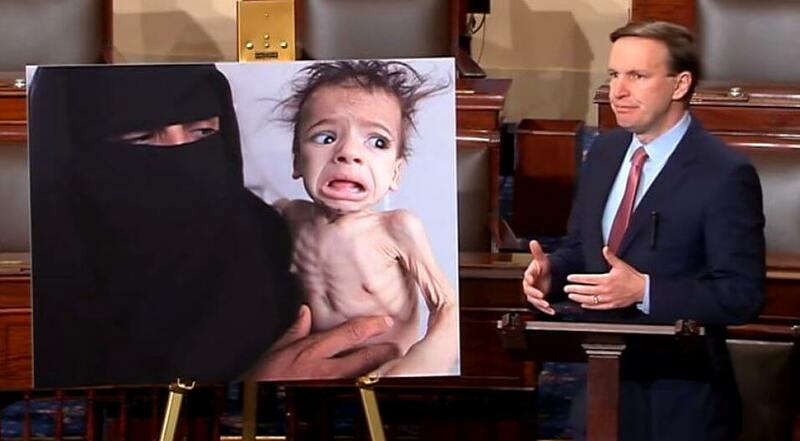 Our role in the coalition is significant – we sell bombs and weapons to the Saudis, we help them pick targets inside Yemen, and until recently, we refueled their planes in the sky … it’s clear that the US is engaged in a war in Yemen. And yet this war has not been authorized by Congress… US involvement started quietly under Barack Obama, and increased under Donald Trump, with more than 10,000 civilians killed in the Saudi-led bombing campaign since the beginning of the civil war….Targets have included schools, hospitals, weddings, a funeral party and recently a school bus carrying 38 children to a field trip. 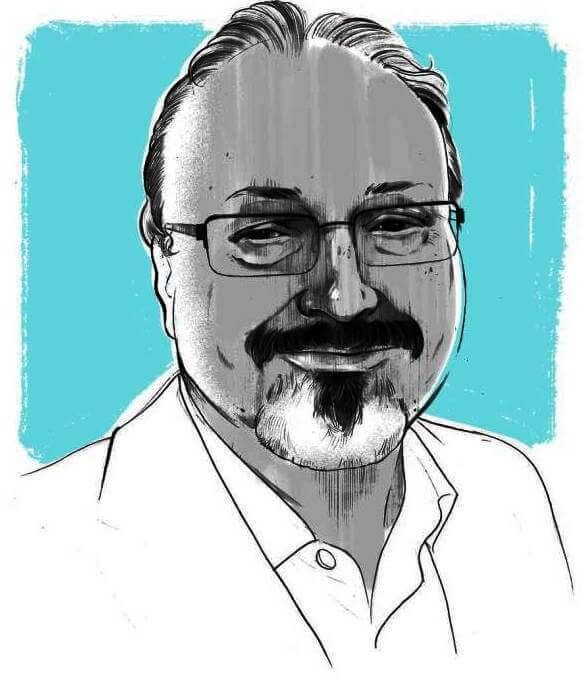 Even more despicable, President Trump appears ready to evade the Congress’s deadline to verify who ordered the assassination of Jamal Khashoggi amid new revelations that Saudi Arabia’s crown prince spoke of threatening the journalist with a “bullet.” Shame on Trump for putting money ahead of international justice. Shame on all of us for letting him get away with a cover up that not only makes the United States look like mobsters, but ensures that the war continues unabated. And shame on the Democrats and the mainstream media. I know it is an important issue, but enough already about blackface. Every minute spent talking about what type of shoe polish the Virginia governor wore on his face in college, is a minute that could have been spent talking about murdered children with real black faces in Yemen. Where is the outrage over the death of 85,000 children? Where are the protests on the lawns of statehouses? Yemen had more people displaced last year due to conflict than any other country on earth. Who cares? Maybe I wouldn’t either if not for my neighbors. Bop Shop Records makes a house call. And Jazz history.